Perth Sports Injury Clinic provides a range of professional services of the highest standard and quality including Physiotherapy. Our choice of varying health therapy and emergency after hours call out services ensures patients get the right treatment for their injury in the most effective way. The experienced and qualified team of health professionals at our clinic include Musculoskeletal Practitioners, Chiropractors, Massage Therapists and Specialist Sports Physiotherapists. 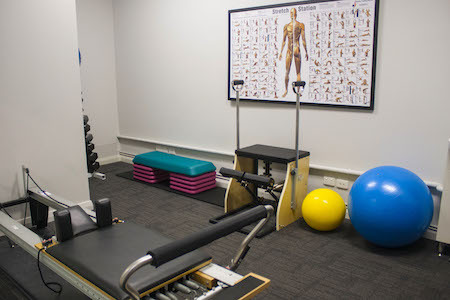 Physiotherapy involves special techniques that are deal for developing, maintaining and restoring maximum movement and functional ability in injured muscles and joints. Physiotherapists work in both hospitals and private practice to help patients with a wide array of health concerns including muscular aches and pains. Physiotherapists devise structured injury rehab programs which also help to increase muscle strength and endurance in injured muscles. Perth Sports Injury Clinic offers workplace assessment for ergonomic aids, ensuring a safe and healthy working environment. Pre work evaluations and return to work assessments are provided by our Musculoskeletal Practitioners and General Practitioners.